Whether on a budget, wanting something quick, a family meal or an evening of romance, there’s a meal for everyone all on Holy Island. Holy Island is located on the western side of Anglesey and is connected by the Stanley Embankment and 4 Mile Bridge, making it easy to access and explore the amazing sites all within walking distance! Named due to its high concentration of standing stones, burial chambers and other religious sites on the small island. If mouth-watering restaurant and cafe’s is what you’re pining for, this top 10 restaurants list features some of the finest eateries in the area. So go ahead, collect your appetite and feast your eyes on our top 10 recommended restaurants on Holy Island, Anglesey! Set within a grade 2 listed farmhouse with an extension that has been recently refurbished to take in the stunning views of Silver Bay and the Llyn Pensinsular beyond. The Deck House has a classic and contemporary menu suited for individual tastes. Take fresh, carefully selected, seasonal ingredients and creates a delicious and memorable dining experience. 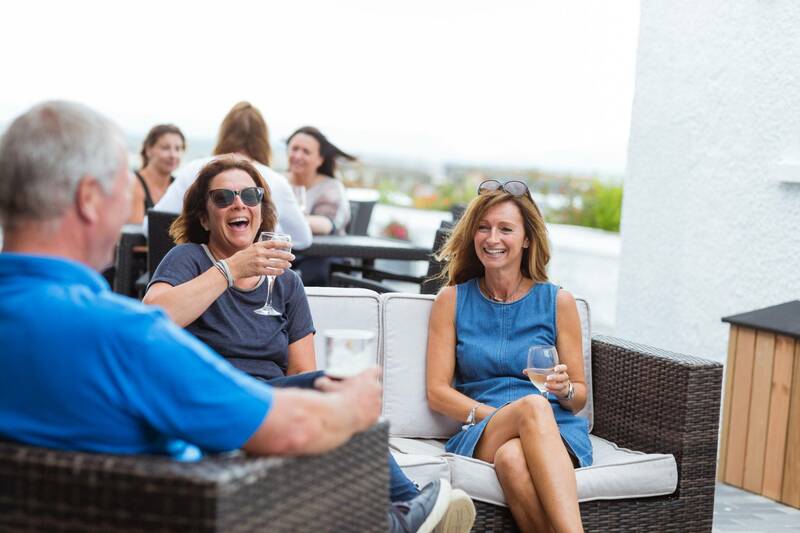 If you enjoy a nice, relaxing drink after spending a day on our private beach, The Deck House is the ideal way to wind down and grab your favourite beverage in the perfect setting. Watch your afternoon slip away without stress; our Busy Bayers keeps your young ones entertained within the close-by lounge area so there’s more time to enjoy your visit at the Deck House. Whether it’s a family day out or a quiet catch up with friends, you can make The Deck House’s lounge whatever you want it to be. Located near the very southern tip of Holy Island (Holyhead Island) on Anglesey and is just west of Silver Bay beach, the White Eagle is either a 20 minute walk or a five minute drive from Silver Bay. You’re walking down the beautiful sandy Rhoscolyn beach, breathing in that fresh sea-side air and drinking in the fantastic views of the coastal path. What better way to top it off than resting your weary legs at the White Eagle? You can also bring your furry friends with you too, as the eatery is pet-friendly! 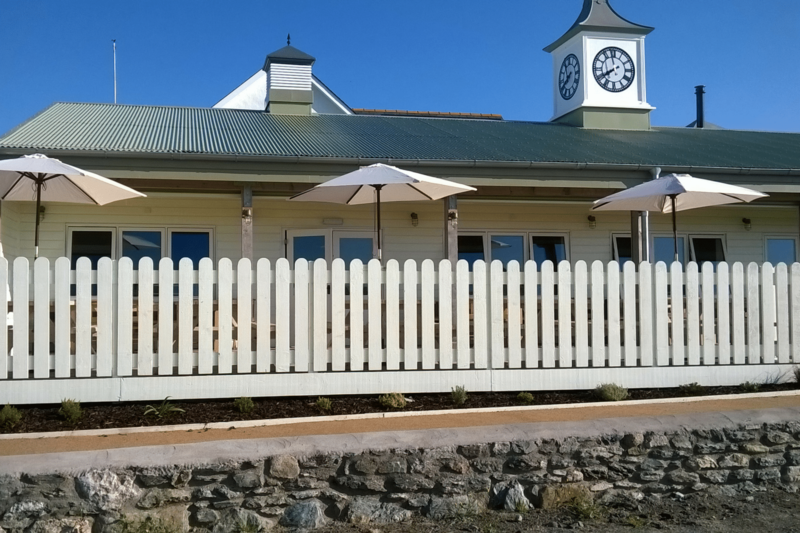 Enjoy the outdoor terrace and soak in the views overlooking the stunning Anglesey coast while enjoying one (or two pints) of their guest ales on draught. There is great food on offer with seasonal menus as well. The White Eagle’s critically acclaimed Steak Pies are to die for, and their home-made fish and chips are amongst customer favourites. And if that wasn’t enough, indulge yourself in Rhoscolyn history (where the pub is located) which is famous with the patron saint St Gwenfaen. We won’t give too much away though, you’ll have to discover it for yourself! Enjoy local food and beer while retreating in the warm glow of a roaring open fire, The Seacroft provides the perfect resting place for the whole family. Stocked to the brim with universally loved Timothy Taylor’s ale, you may hear an adventurous tale or two echoing from the barstools at the front of house. On the menu, locally sourced ingredients from Anglesey suppliers means that you get the freshest and most tastiest meals on offer. Oh, and if you’re around the Anglesey area in winter, The Seacroft offers a ‘buy one, get one free’ deal on most dishes. The Seacroft steals the show on making number 2 on our top 10 restaurants in Anglesey! Just as the name suggests, the Harbourfront lies on on the idyllic Newry Beach of Holyhead. A hidden gem, this bistro is a family run business with family-orientated values; bring the kids down for a scrumptious meal or simply enjoy the picturesque scenery of the sunset disappearing over the horizon. There’s something for everyone at the Harbourfront Bistro, its perfect location and contemporary British cuisine ensures that this eatery features on our top 10 recommended restaurants! The Valley Hotel’s motto rings loud and proud. They’re thrilled to be from the Welsh island of Anglesey, a quality that resonates through their restaurant. Their recently refurbished main bar features welsh slate, rustic charm and perfect real ales to match! 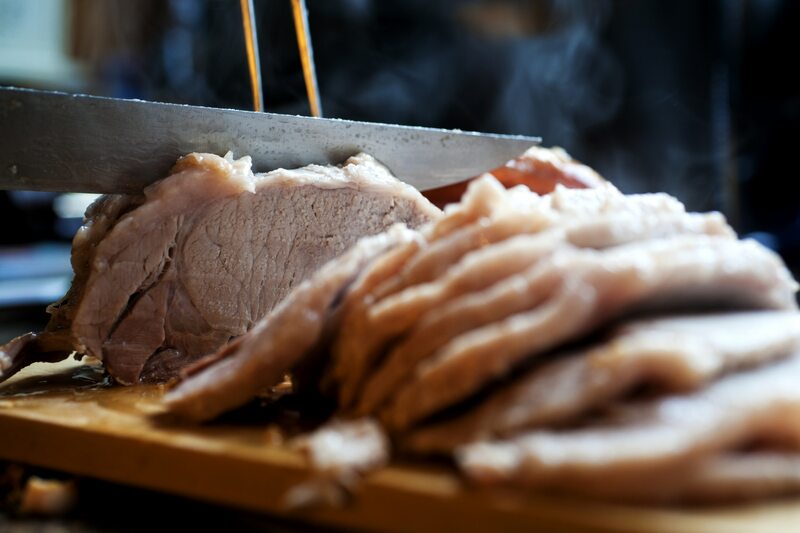 Don’t forget to enjoy one of the best Sunday Carvery restaurants in Anglesey! You won’t regret it! Pork being carved up ready for a Sunday lunch. Whether you’re just passing through for a refreshing pint or looking to experience the delectable homemade cooking, the Valley stands out as a strong contender to make it on our list of recommended restaurants in Anglesey. For one of the best breakfast restaurants in Anglesey, shimmy on down to the Sea Shanty! Fill your sea boots with eggs benedict, a hearty bacon butty or sit down and order yourself a latte and watch the world go by. Inside the Sea Shanty is just as impressive as the outside – its interior resembles the inside of ship from years gone by. Your maritime food voyage begins with the greeting “It’s always sunny in here” etched on the dining room entrance, and it’s a welcoming gesture that continues through to the friendliness of the staff. Make sure you visit the Sea Shanty for fantastic locally-sourced seafood! 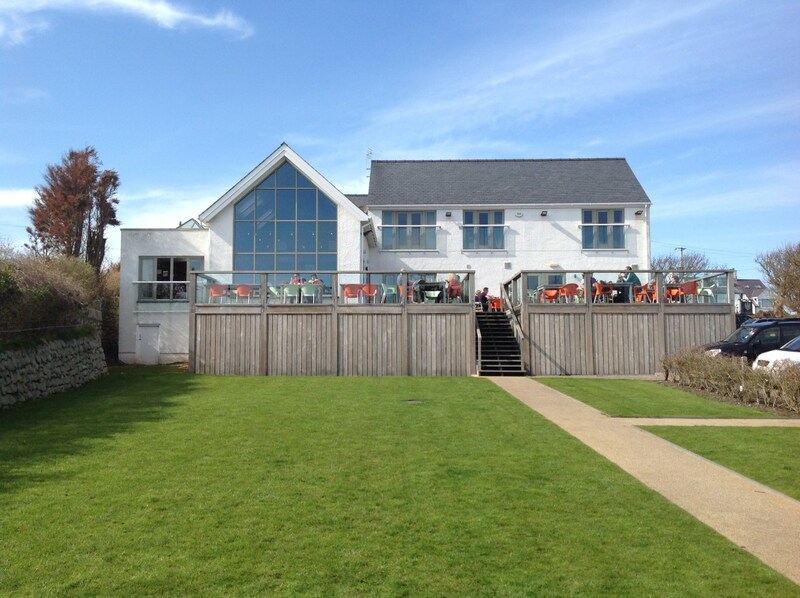 The Driftwood features on our list of restaurants in Anglesey as it stands out as a hidden gem. Good food, local cask ales and a famous traditional carvery on Sunday – and it doesn’t stop there. You can watch your favourite sports team with Sky Sports and BT, providing all the action while you sit back and enjoy your pint. If you’re struggling to think of where to celebrate Christmas, birthdays and wedding celebrations, let The Driftwood plan your social event with a function room that can hold up to 70 people! Well worth the visit! If you’re yearning for a restaurant that provides a modern, contemporary eating and drinking experience with British Cuisine, look no further than The Black Seal. Boasting a dedicated Gin Bar, drinks lovers with a taste for craft alcohol can find their haven within the walls of this bar restaurant. If sinking a Bombay Sapphire doesn’t float your boat, there are more than enough traditional dishes to satisfy your hunger. You can also test your tastebuds at international dishes from Welsh Rump Steak to Philly Hot Pizza. Catch 22 are like the cool kids on the block. Their modern style, both from inside and outside the restaurant, seems effortless. Their slick interior decor is complemented by their sophisticated menu and cosmopolitan drinks. 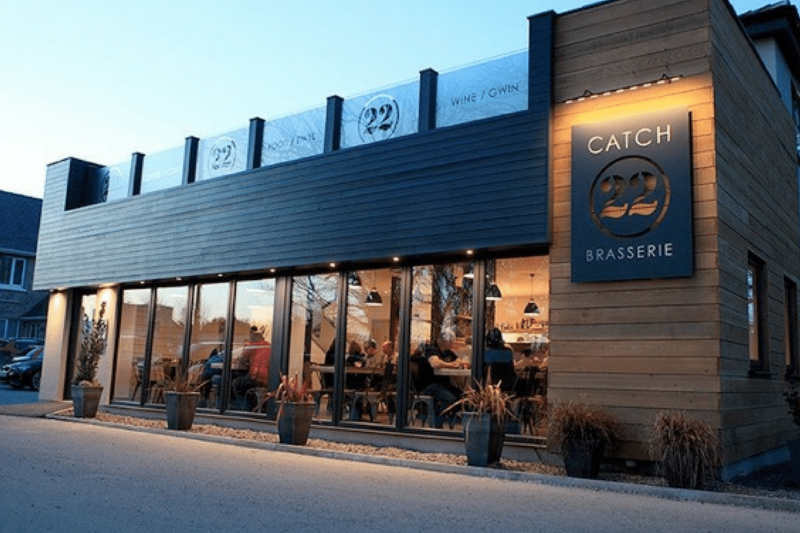 Large venue space also makes Catch 22 ideal for hosting events like parties and meetings. When you’ve devoured your Pan Fried Stone Sea Bass and ready to whistle for the bill, make sure you grab a drink and explore the balcony – perfect for unwinding and soaking in the fantastic views of Holy Island in all its glory! Enoch’s needs no introduction as it remains a familiar stopping place for passing travellers and locals to enjoy! 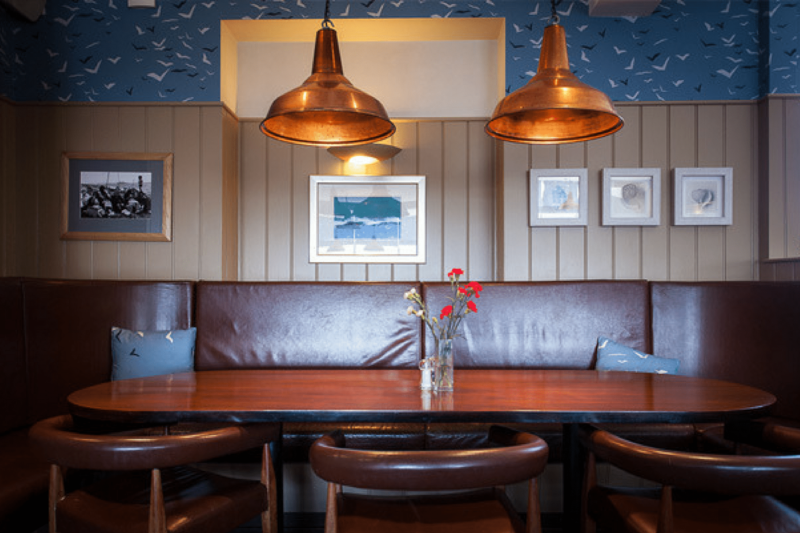 This stylish, traditional British restaurant embraces the coastal culture of Anglesey and its adoration for Fish & Chips by sustainably sourcing and passionately making your favourite seaside dish. 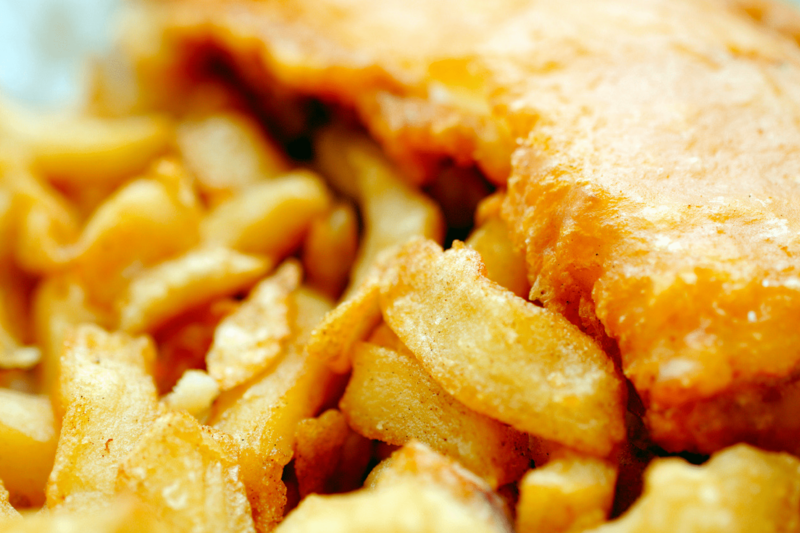 Did you know, Enoch’s were the first fish & chip shop in Wales committed to using the MSC ecolabel to contribute to the health of our own & the world’s ocean! So there you have it, tasty and morally appetising! So what are you waiting for? Collect your appetite, leave your worries at the door and enjoy our top ten recommended restaurants in Anglesey. If you find any more great places to relax and unwind with food and drink, don’t forget to let us know! There’s nothing quite like going on holiday with your adorable and loyal four-legged companion. But what happens if you plan on going out for dinner, or visiting a pub, that doesn’t allow for dogs? We know there’s no reason why you should keep your pup in a strange hotel, or safely locked in the car, while you enjoy a family meal. After all, if you’re travelling within the UK this summer, you probably chose to because you could bring your pet along. So if have plans to visit Anglesey this summer, here is a short list of our favourite dog-friendly pubs and cafes in North Wales – including one or two great restaurants too. PS. 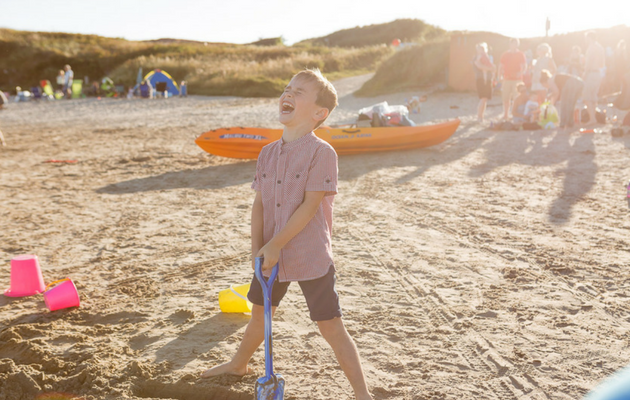 If you’d like to find out more about owning your very own holiday home on Anglesey, view our eBrochure here. Located close to the beautiful village of Moelfre, Ty Dderw is a haven for anyone that loves good food, good wine, and exceptionally welcoming surroundings. The restaurant is ran by Head Chef, Mark Williams who has over 23 years experience of professional cooking – including for the Queen. He has a passion for sourcing his produce locally and creates some of the best Welsh dishes on Anglesey. This is a firm dog-friendly favourite amongst locals and regular visitors to Anglesey, so we thoroughly recommend that your bring your loving pooch to this great establishment. After a long day of walking in the Welsh countryside, there’s nothing better than retiring to a warm and welcoming pub for some hearty grub. But if you prefer the sound of pan roasted hake with samphire, or summer barley risotto, then you’ll absolutely love The White Eagle. This beautiful pub has a fantastic wine and beer list and attracted plenty of critical acclaim since it first re-opened its doors in 2007. It’s also the perfect spot if you’re travelling with your dog, with the dog-friendly owners, John and Alex, more than happy to accommodate. This beautiful Grade II listed building has been lovingly restored from its 18th century origins, and now offers a fantastic selection of delicious food and drink for tourists and locals alike. But what really makes the Black Lion is its commitment to work exclusively with local producers – including Halen Môn and Four Seasons. So if you’re in the mood for relaxing beside a wood-burning stove, or perhaps sitting outside on the patio to enjoy views of the Snowdonia mountains, then this is one of the best views you’ll enjoy in Anglesey. 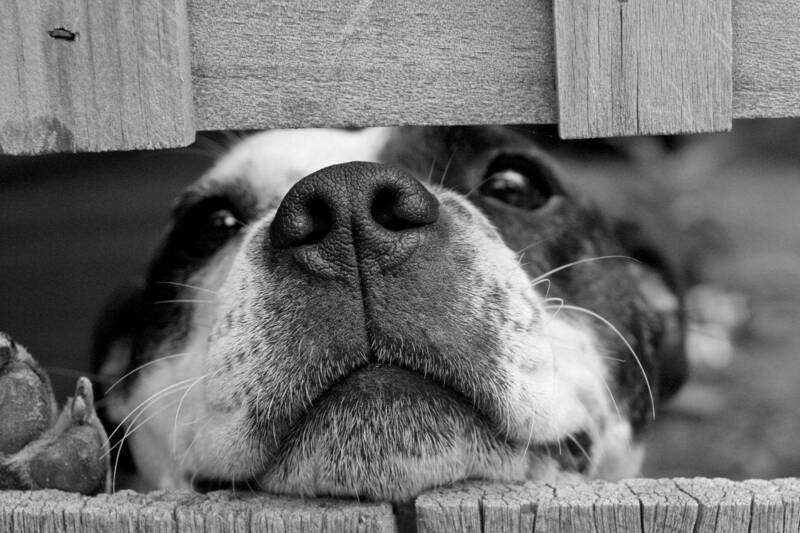 And of course – dogs are welcome too. With a fantastic seasonal menu, The Tavern On The Bay always has a new trick up its sleeve – offering some of the best and most delicious cuisine available. But this restaurant also has a fascinating history, having first been built in 1924 as a marine cottage on the coast. 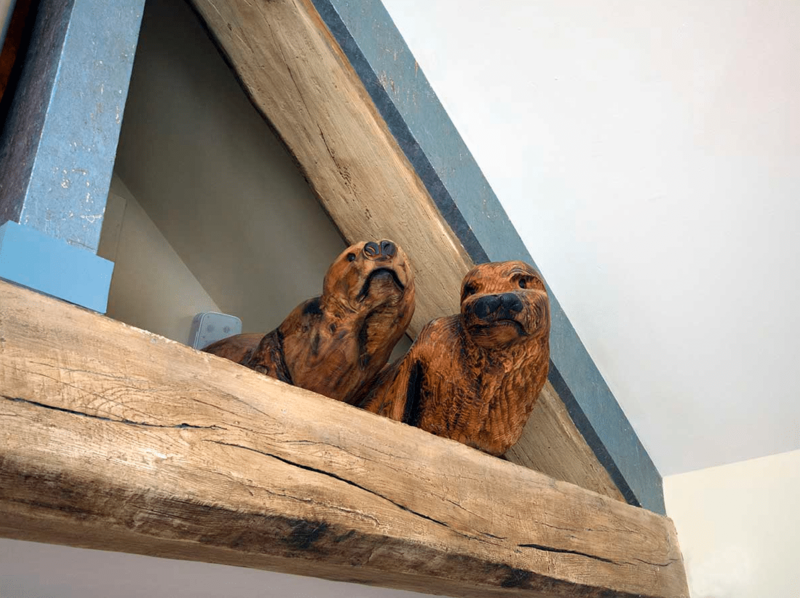 That’s why The Tavern has a number of beautiful indoor features that make it stand out from the rest, not to mention a beautiful view of the Irish Sea. With a laid back feel, excellent food, and friendly owners who always seem to be smiling, we think this is a lovely dog-friendly destination for a spot of beachfront cuisine. 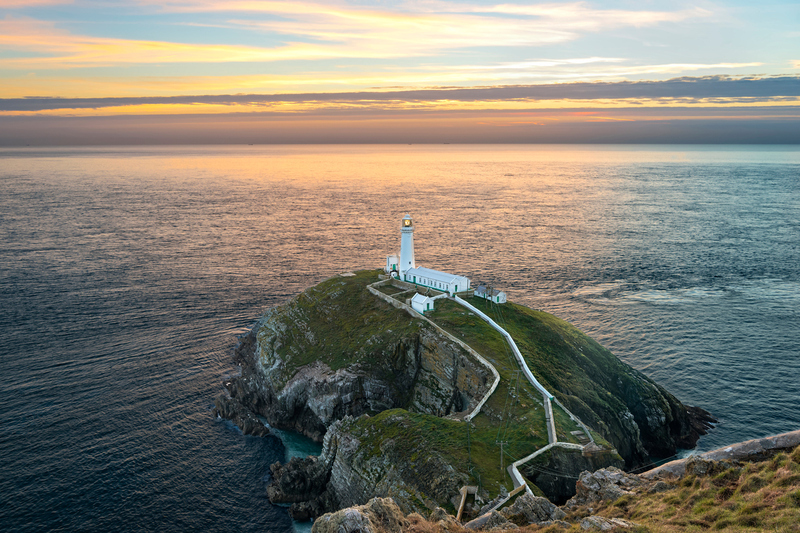 Anglesey is the perfect home away from home holiday destination – with a fantastic range of attractions and sites to keep you occupied throughout your stay. We also have plenty going on at Silver Bay too. But if you would prefer to unwind in a pub, or enjoy a lovely evening meal, you’ll be spoilt for choice with the number of establishments across the island. Especially if you’re travelling with your beloved pet. So next time you worry about leaving the dog behind on holiday, have a look at everything Silver Bay and Anglesey has to offer. Follow us on Twitter for the latest holiday news, or say hello on Facebook and learn more about the wonderful island of Anglesey. You can also view our eBrochure to find out more about life at Silver Bay Holiday Village.